Meet AJ Simmons,RN. Life Long Utah Resident and Registered Nurse. 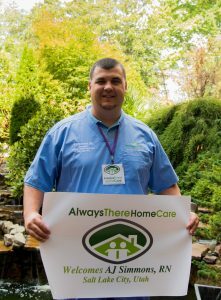 This December, AJ is accepting a new role as President of Always There Home Care, Salt Lake City. 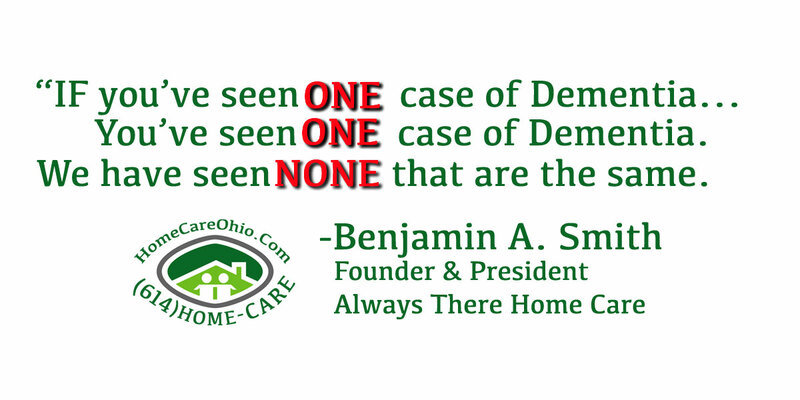 in 2015, Always There Home Care Founder Ben Smith had his world turned upside down . 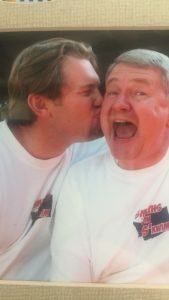 His Father Mark Smith, a 30 year Utah resident was diagnosed with stage 4 prostate cancer. 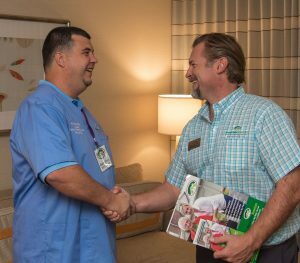 After bouncing around the hospital systems, Smith and his Father ended up in the care of AJ Simmons, RN. 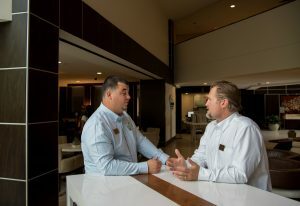 What came next was the beginning of a breakthrough relationship with a caregiver and his patients. 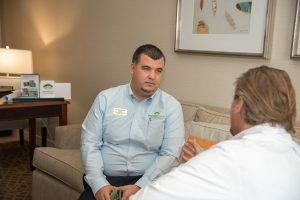 The Smith’s came to rely on AJ for navigating their confusing and increasingly trying challenges with a medically complex diagnosis of stage 4 metastasized prostate cancer. After a long fight for the Mark Smith family, Mark would pass at his home with his wife by his side in Provo, in February of 2015. Conversations between the Smith family AJ continued. Ben was determined to enable other’s in their time of need to experience what he his family had. 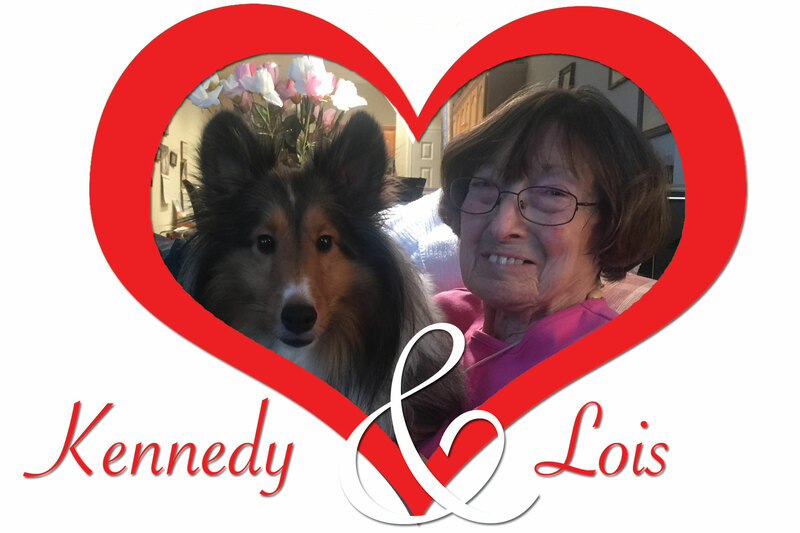 For Smith and Simmons, it was clear their passions for providing attentive care for seniors shared a unique vision. Their combined efforts and interests found common ground. “Only by first serving others, can we come to know true patient advocacy.”-AJ Simmons, RN. Simmons saw inefficiencies and poor care management hurting his own hospital and patient outcomes. The hospital systems standard of care did not match his own. Simmons made it his own quest to provide an elevated care standard for his own patients. 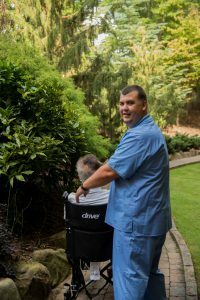 In his work with Always There Home Care Founder, Ben Smith, AJ has built his own vision and standard of care. In Utah, AJ has created a care team prepared to offer exceptional, one-on-one hands on Senior Home Care in Salt Lake City. 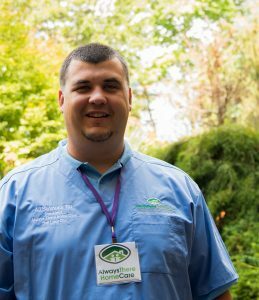 Working and managing in facility care for over a decade, AJ developed meaningful relationships with seniors and their families whom he credits with his inspiration to serve. 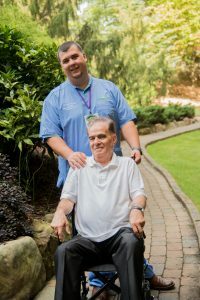 Says Simmons: “I found the greatest rewards came when we could take just one extra step to ensure proper measures had been taken to see our senior clients thru their toughest challenges.” As President of Always There Home Care, AJ has a new mission. For the last two years, we have carefully planned our patient centered approach and the implementation of our Caregiver Match Program, and our 24-Hour Home Care Hotline (801) HOME-CARE for seniors and their families in Salt Lake County. 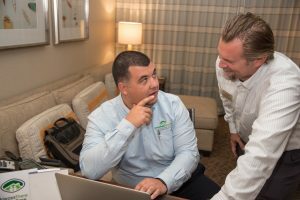 Creating elevated senior care solutions with real time access to 24-Hour Registered Nursing care is a perk exclusive to Always There Home Care program recipients and their families. Says Smith, “we feel so blessed to have AJ Simmons prolific leadership and patient first focus to the people of Salt Lake County. Being able to navigate complex issues, medication changes and aligning proper care is one step away. Patients and family members of Always There Home Care in Salt Lake City can begin to coordinate the care needs of their loved one by calling our 24-Hour Home Care Hotline: (801) HOME-CARE. Now, Mom and Dad can receive all the benefits of facility care and 24/7 access to Nursing care in the comforts of their own home. Or, call us at Always There Home Care via our 24-Hour Home Care Hotline: (801) HOME-CARE 466-3227 or ask our Ask-A-Nurse-Anything email: AskAnRN@AlwaysThereSLC.Com. next post: Home for Thanksgiving & OMG My Parents Need Help!